talked his girlfriend into accompanying him, and moved to San Francisco to work in the nearby wine industry. 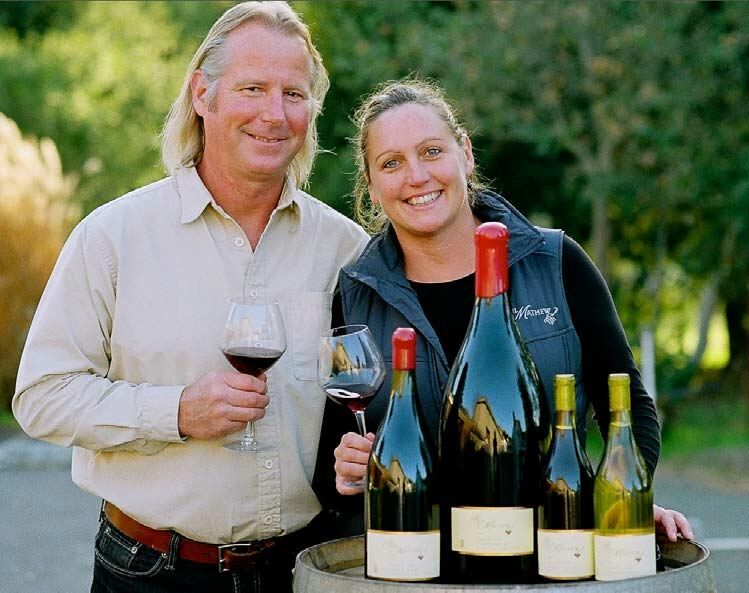 In 2006, Jamie moved his production to Deerfield Ranch Winery in Sonoma Valley where Michael Browne first gained his winemaking experience under managing partner Robert Rex. Relying on his own resources and a loan from his father, Jamie launched his eponymous label, Kutch, and became an independent producer with no investors or employees. He crafted an Amber Ridge Vineyard Russian River Valley Pinot Noir, a McDougall Ranch Sonoma Coast Pinot Noir, and a Sonoma Coast Pinot Noir Rosé from the 2006 vintage. 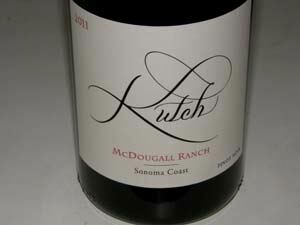 Before long, James Laube of the Wine Spectator, and other publications found Kutch’s story compelling, and considerable national publicity for his wines ensued. The first vintages were decent, but not riveting, and this was understandable as Jamie had little winemaking experience. He was obviously bright and passionate about making Pinot Noir, and caught on quickly after eagerly seeking out the advice of well-known Pinot Noir winegrowers and winemakers. 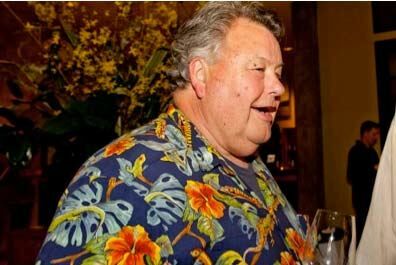 He tasted hundreds of old California and Oregon Pinot Noirs, traveled to Burgundy on several occasions, and consumed as much Burgundy as possible to guide him in making his vinification choices. From the beginning, Jamie was aware of the importance of obtaining premium vineyard sources for his wines, and sought out cool climate sites in the North Coast of California that he considered ideal for Pinot Noir. He also realized quickly that the growing cycle in California vineyards did not need to be prolonged since excessive hang time led to a loss of purity, freshness and brightness in the resultant wines. He turned to careful crop management and minimal irrigation toward the end of the growing cycle, finding that phenolics became ripe naturally at lower Brix. Jamie only works with vineyards where he can become significantly involved in the farming and ones that allow him to buy by the acre. 2011 was the last vintage with Savoy Vineyard since placement in the vineyard and the farming and watering regime did not meet his lofty ideals. In 2012, Jamie moved into a new winery in Sonoma located on 8th street east, just south of the Sonoma Square. He bought 30 new tanks and processed a total of 58 tons or 3200 cases in 2012, a significant increase in production. Also in 2012, Jamie found a new fruit source in Hirsch Vineyard, working as he put it, very closely with David Hirsch. He now obtains more fruit from the esteemed McDougall Ranch (he shares this vineyard with Dan Goldfield of Dutton-Goldfield). Practically all Kutch wines production is sold directly through a mailing list at www.kutchwines.com. Because of the increasing production, the list is still open. The winery is not open to the public. Jamie does not participate in large Pinot Noir events, believing that serious appreciation of the wines is not possible under the frenetic circumstances of this large venues. Look for him at the more intimate third annual Pursuit of Balance tastings in San Francisco, February 4, 2013, and/or Los Angeles, February 6, 2013 (visit www.inpursuitofbalance.com). 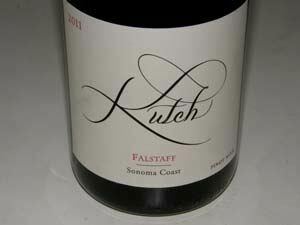 The reviews that follow are among the first to appear for the 2011 Kutch Pinot Noir wines. The mailing list members have not received offerings yet. Release dates are February 2013 for the Sonoma Coast and Savoy Vineyard Anderson Valley bottlings, and August 2013 for the McDougall Ranch and Falstaff wines from the Sonoma Coast. These are ridiculously good wines and I encourage you to join the mailing list to grab a few bottles before the word gets out. 12.8% alc., 1,160 cases, $39. Release February 2013. 7-day cold soak, native fermentations, 75% de-stemmed (twice daily punch down) and 25% whole cluster (crushed by foot), gravity movement of all wine, aged sur lie 10 months in 30% new and 70% used French oak barrels. · Moderate reddish-purple color in the glass. Beguiling aromas of black cherries, clove, nutmeg, orchid and redwood cask with aromas dancing in and out over time in the glass. Earthy flavors of black cherries, plums and black raspberries with a hint of oak anise in the background. Not the finish of the vineyard-designates, but very appealing now. Still fine the following day from a previously opened and re-corked bottle. Very good. 12.9% alc., 245 cases, $55. Release February 2013. 7-day cold soak, native fermentations, 50% de-stemmed (twice daily punch downs) and 50% whole cluster (crushed by foot), aged sur lie 10 months without racking in 100% neutral oak. · Moderately light garnet color in the glass. Aromas of dark red fruits, rose petals, jasmine, fruit leather. Moderately rich essence of black raspberries with an earthy soul. Caressing tannins, very smooth and polished, with some delicacy, finishing with uncommon persistence without weight. Very good (+). 13.6% alc., 345 cases, $55. Release August 2013. 7-day cold soak, native fermentations, 50% de-stemmed and 50% whole cluster, all fruit crushed and punched down by foot, aged sur lie for 10 months without racking in 50% new and 50% used French oak barrels. · Moderately light reddish-purple color in the glass. Striking nose offering extroverted scents of black cherries, spice, briar and rose petal. Mouth watering flavors of ripe black cherries and dark red berry jam, with a joyful hint of spice. Very soft and smooth, almost ephemeral, but with eye-opening fruit intensity. There is an extra depth of flavor on the finish that keeps rolling along just when you think it must be finally done. I was really taken by this wine, and as I sat in my chair, I kept looking at the glass and shaking my head in wonderment. Even better the following day from a previously opened and recorked bottle. Similar in some ways to the great 2009 vintage of this wine, but more approachable and elegant in style. 12.7% alc., 50 cases, $55. Release August 2013. 7-day cold soak, native fermentations, 50% de-stemmed and 50% whole cluster, all fruit crushed and punched down by foot, aged sur lie 10 months without racking in 50% new and 50% used French oak barrels. · Moderately dark reddish-purple color in the glass. The nose picks up intensity and interest over time in the glass, slowly revealing attractive aromas of blackberries, black raspberries and candied plum. Intensely fruity on the attack and mid palate, the broad flavors finishing with impressive length. Deep plum and dark berry flavors caressed in supple tannins with a velvety smooth mouth feel. A very subtle stem note in the background disappears and the flavors really blossom the following day from a previously opened and re-corked bottle. Give this wine some time in the cellar and you will be a happy camper. Maggy Hawk Vineyard has no neighbor issues to affect farming of the vineyard. No intensive viticulture techniques are required as the vines are largely self-regulating and typically produce yields of less than two tons per acre of beautiful fruit. That’s not to say that there are no challenges in farming this site. Dramatic winds are common, and vines struggle throughout the season, threatened by early rains and frost, and ripening so slowly that the vineyard demands patience. Maggy Hawk Vineyard was planted in 2000 to 23.55 acres of distinct blocks with a variety of clones including Pommard, Wädenswil 2A, and Dijon 115, 667 and 777, principally on rootstocks 3309C and 101-14. The vine spacing is 8‘ x 5‘ to 9‘ x 5’, with 978-1102 plants per acre on a VSP trellis with bilateral cordon. The vineyard manager, Dennis Winchester, lives on the property. Maggy Hawk is the name of Barbara Banke’s favorite, winning thoroughbred horse. Banke was a lawyer and wine connoisseur when she met Jess Jackson and played a major role in the growth of Jackson Family Wines. She assumed the reigns of Jackson Family Wines when Mr. Jackson passed away in 2011. She established the Maggy Hawk label with the inaugural release in 2007. Before that, grapes from the Maggy Hawk Vineyard had become an important component of the La Crema Anderson Valley bottling beginning in 2003. In 2006, there was a bumper crop of more than three tons per acre from the vineyard, and two La Crema Maggy Hawk Pinot Noirs were vinified (No. 5 Block and Blend) by the La Crema winemaker at the time, Melissa Stackhouse. 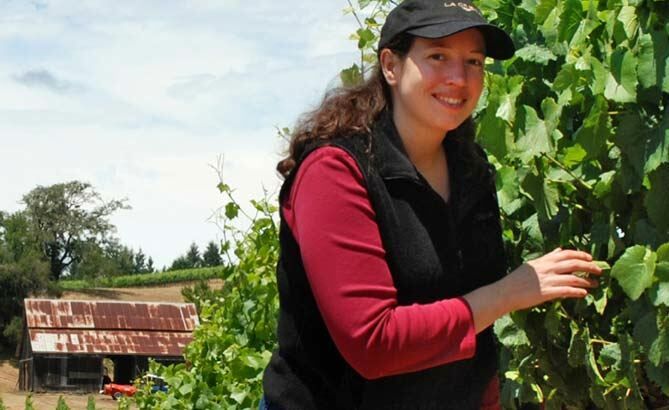 The following year the Maggy Hawk label debuted and three wines were produced by winemaker Elizabeth Grant-Douglas (also the winemaker at La Crema, pictured below), each named after a horse born to the mare Maggy Hawk: Jolie, Afleet and Stormin’. Afleet was a Preakness and Belmont Stakes winner. With the 2009 vintage, four wines were produced, each named after the horses born to the mare including Jolie, Afleet, and Unforgettable, and to her sire - Hawkster. The wines are all made from predominantly single clones from a specific block within the vineyard. Grapes were harvested October 5, 6 and 7, 2009, following a relatively cool, even growing season. Yields were 1.85 tons per acre for Unforgettable block, 2.21 tons per acre for Afleet block, 2.30 tons per acre for Jolie block and 2.44 tons per acre for Hawkster block. 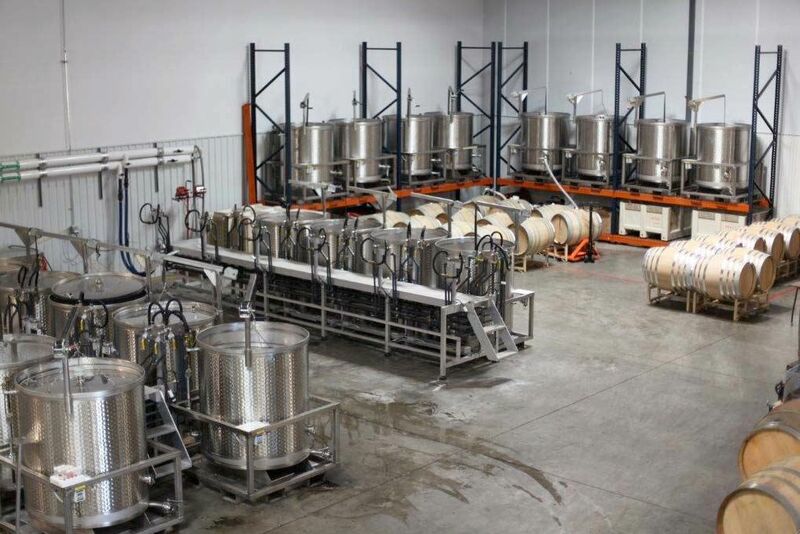 The wines received a 5-day cold soak followed by fermentations driven by indigenous and proprietary yeasts. The wines were aged in 23%-35% new French oak barrels for 15 months. 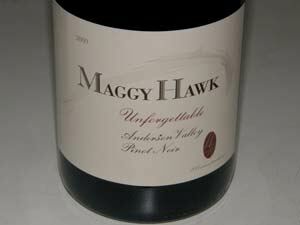 The 2007 Maggy Hawk Pinot Noirs were stunning wines, reviewed in January 2012 in the PinotFile (www.princeofpinot.com/article/1169/). At the time, my comment was, “The trio of 2007 Maggy Hawk Pinot Noirs are vinous treasures of uncommon pedigree much like their namesakes. 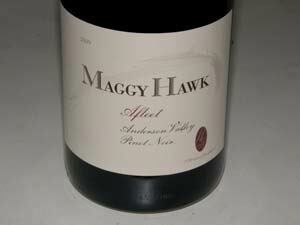 They are truly special connoisseur’s wines that defy appropriate description.....possessing a somewhereness that sets them apart.” The 2009 Maggy Hawk wines were first offered for tasting at the Anderson Valley Pinot Noir Festival where I again was quite taken by their uniqueness. A mailing list signup was offered at that Festival. Visit the website at www.maggyhawkwines.com to join the mailing list (info@maggyhawkwines.com). The complete website will launch in January. 14.6% alc., pH 3.53, TA 0.52, 234 cases, $66. From 1.23-acre Block 4, Pommard clone. Aged 15 months in 32% new French oak barrels. · Moderately dark reddish-purple color in the glass. Haunting aromas of spiced black cherries and black raspberries creating an olfactory overload. Richly endowed, with flavors of very ripe dark cherries, berries, currants and sassafras enveloping the palate. An appealing wood spice and savory herbal note add interest. Well-managed tannins create a round, polished drinking experience. Very typical Pommard-based wine that is the richest in the lineup. Still opulent the following day from a previously opened and re-corked bottle. 14.5% alc., pH 3.70, TA 0.51, 235 cases, $66. From 2.64-acre Block 5, clone 667. Aged 15 months in 35% new French oak barrels. 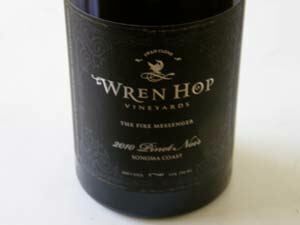 · Very interesting woodsy nose offering aromas of black cherries, spice and mushrooms on the grill. Delicious core of fresh black raspberry and blackberry fruit, nicely spiced. A veritable iron fist in a velvet glove wine with rich, strikingly intense flavor, countered with seductive elegance and silkiness. Flat-out great the following day from a previously opened and recorked bottle. The name of this wine really fits. 14.6% alc., pH 3.62, TA 0.55, 237 cases, $66. From 10.03 acre Block 7, clone 115. Aged 15 months in 23% new French oak barrels. · Moderately dark reddishpurple color in the glass. Showy aromas of red cherries and raspberries with a hint of forest floor, compost and oak. Lushly flavored yet sleek and seductive with a core of deep raspberry flavor complimented by a whisper of oak. A pretty wine yet endowed with good structural bones, finishing long and opulent. Still solid the following day from a previously opened and re-corked bottle. Very good (+). 15.4% alc., pH 3.57, TA 0.54, 240 cases, $66. From Blocks 12, 13, and 14, 6.18 acres, clone 2A. Aged 15 months in 32% new French oak. · Medium reddishpurple hue in the glass. Very ripe fruit-driven wine offering aromas of black plum sauce, blackberry jam, and spice, intensifying over time in the glass. 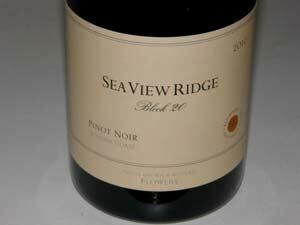 Moderately rich with very ripe fruit flavors of red and black berries and slight prune. Sturdy tannins with complimentary oak in the background. More fruity and spicy the following day with a softer mouth feel. Tasted twice. Pushes the ripeness envelope too far for me. Good. 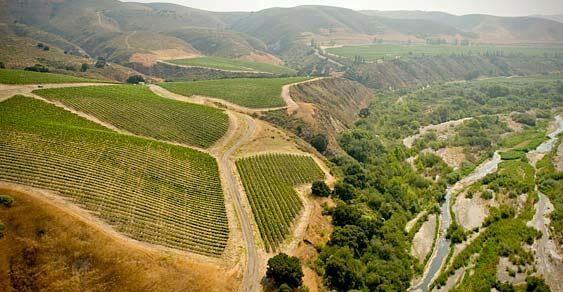 Sea Smoke Estate Vineyard, 105 acres planted to ten clones of Pinot Noir in 26 unique blocks, is located on south-facing hillside bluffs at 300 to 700 feet above sea level in the Santa Rita Hills AVA. It benefits from the shallow clay soils and a moderating microclimate featuring the eponymous “sea smoke” marine fog layer that regularly travels up the Santa Ynez River canyon. 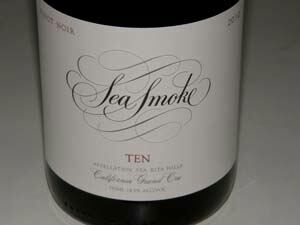 The style of Sea Smoke Pinot Noir has evolved over the years. With the completion of a good-size winery in Lompoc in 2009, ever-smaller lots can be vinified separately to preserve the character and complexity of different block and clonal combinations. In 2010, the winery undertook approximately 50 Pinot Noir fermentations, keeping them separate for almost a year of aging, at which point each barrel was graded and evaluated for as many as ten stylistic hallmarks. This meticulous approach, along with a dedicated effort to moderate extraction, slightly reduce alcohol levels, and finessed new oak ratios during barreling has led to a more welcoming style upon release without sacrificing age ability. The reference to Sea Smoke Pinot Noir as a “female bodybuilder” of a wine that was used by one writer in the past can be put to rest. For the estate-grown Pinot Noir, the following winemaking regimen was employed. Clusters were sorted in the vineyard and then gently de-stemmed following an evening in the winery’s cold room. All “jack stems” were removed on the sorting table. Musts were cold soaked in open-top fermenters for 1 to 4 days, then inoculated with cultured yeasts to begin slow fermentation. Each tank was manually punched down one to three times a day, with a total maceration time of 16 to 28 days. Upon completion of primary fermentation and maceration, all free run wine was transferred to tank for settling. Pressing was carried out at extremely low pressure to avoid extracting bitterness from the seeds. After settling overnight, both free run and press wines were racked to barrels and aged 16 months. About 20 different types of barrels were used and each year the best cooper, clone and block combinations are continually being refined. The estate-grown Chardonnay was vinified as follows. Chilled grapes were softly pressed and gently pumped into a stainless steel tank for cold settling. Once the heavy solids were removed, the juice was racked to both French oak barrels and stainless steel fermenter, then inoculated for primary fermentation. Following primary fermentation, the wine was inoculated for malolactic fermentation and barrels were periodically stirred to enhance depth and mouth feel. Some wine was aged in large-format 600-liter demi-muids. The wine was aged 16 months in 55% new French oak barrels before bottling. The 2010 Sea Smoke wines are extraordinary, the best I have ever sampled from this winery. 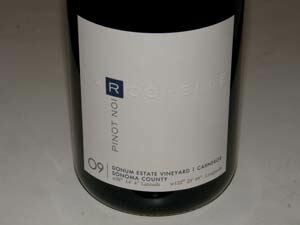 Of the two wines reviewed here, the 2010 Southing Pinot Noir features a complex and elegant expression of Sea Smoke Vineyard Pinot Noir, while the 2010 Ten Pinot Noir possesses more power and extraction. Both wines display the prominent acidity that typifies Sta. Rita Hills wines. The Pinot Noirs are quite approachable now, especially with decanting, and the impeccable balance predicts a long life in the cellar. Five wines were produced in 2010, three of which are reviewed here. Omitted are the 2010 Sea Smoke Botella Pinot Noir and the 2010 Sea Smoke Gratis Chardonnay. 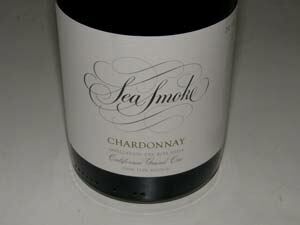 Sea Smoke wines are sold almost exclusively through a mailing list and are highly allocated. Visit the website at www.seasmoke.com to join the list. No tasting room is available. The wine is not open to the public for tours, and vineyard visits are not available due to legal restrictions on public access. 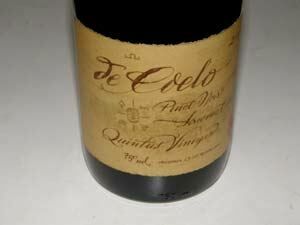 14.42% alc., pH 3.36, 0.7, $59 (Magnums $124). Released Octobers 2012. Exclusively Sea Smoke Estate Vineyard. Aged 16 months in 55% new French oak barrels. · Medium dark purple color in the glass. Well-endowed with seductive aromas of spice plum and dark red rose petals. Clearly a special wine that is very charming now. Discreetly concentrated flavors of plum, boysenberry and black cherry with a whisper of spice and vanilla, finishing with an intensely aromatic black cherry flourish. Beautifully composed with balanced tannins and welcoming acidity. A complete wine. Still impressive the following day from a previously opened and recorked bottle. 14.65% alc., pH 3.38, TA 0.69, $82. Released October 2012. Ten clones (113, 115, 459, 667, 777, 09, 16, Pommard 5, 2A, and Mt. Eden selection) exclusively from Sea Smoke Estate Vineyard. Aged 16 months in 65% new French oak barrels. · Dark purple color in the glass. Very muted nose, opening very grudgingly to reveal aromas of fresh dark berry preserves. Similar in flavor to the Southing but showing more intensity, featuring dark red and black berries and cherries with an echo of oak. Rather unexpressive now but the potential is obvious. Very polished with well-managed ripe tannins and bright acidity. Spectacular the following day from a previously opened and recorked bottle, displaying flamboyant aromas of spicy berries, a creamy texture and a long, powerful finish. Cellar this sumptuous wine for several years. 14.6% alc., pH 3.37, TA 0.68, $59. Released October 2012. Exclusively Sea Smoke Estate Vineyard. Predominantly Wente clone with smaller amounts of Dijon clones 76, 95 and 96. Aged 16 months in 55% new French oak barrels. · Light straw color and clear in the glass. A majestic, full-on California style Chardonnay. Aromas of lemon curd, butter brickle, and roasted nuts. Richly flavored with notes of citrus, baked pear, and toasty oak complimented by clean, crisp acidity. Sta. Rita Hills is not just Pinot Noir country, for its Chardonnays typically offer incredibly lush, chewy, hi-tone fruit backed by generous, defining acidity. For those who relish this style of Chardonnay, it doesn’t get any better. 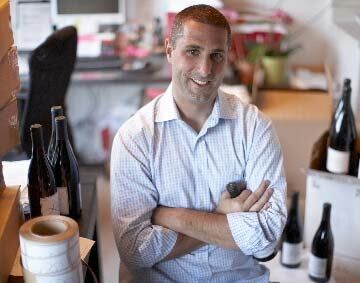 Mat Gustafson has a great smile and knows how to craft smile-worthy Pinot Noir. His initial career path was in the hospitality industry managing restaurants in Michigan. He then moved to Colorado, and while attending the University of Colorado, he worked as a sommelier at the Flagstaff House Restaurant in Boulder. The restaurant had a wine cellar worthy of a Grand Award from the Wine Spectator, and he was able to taste many of the finest wines in the world. After graduation from the University of Colorado, he moved to Napa Valley to pursue a job in the wine industry. He eventually became a wine buyer and sommelier at John Ash & Co. Restaurant in Santa Rosa where he developed a passion for Russian River Valley Pinot Noir. He opened the Oakville Grocery in Healdsburg as the wine buyer, but soon decided he true calling was making wine. 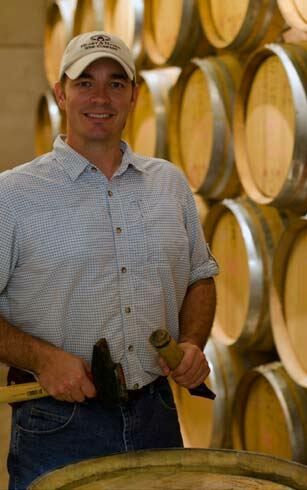 Mat began crafting wine while developing vineyards in western Sonoma County, working at Sebastopol-Dutton Estate Winery. He gained experience under Merry Edwards, who was the consulting enologist for the winery. 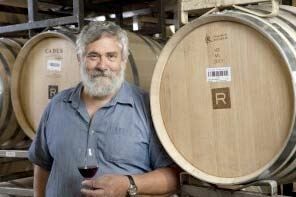 In 2000, he became head winemaker at Sebastopol-Dutton Estate Winery, and remained in that position until 2009. He then left to become co-winemaker at Moshin Vineyards where he currently oversees all custom crush activities and makes the Paul Mathew Vineyards wines. Paul Mathew Vineyards was launched in 1999 with partner Paul Sloan who hasn’t been involved since 2001. Initially the wines were made at the Dutton’s facility. The partners’ first names were conjoined to form the name of the winery. Winemaking at Paul Mathew Vineyards is low input, using only native yeast fermentation and natural malolactic fermentation and minimal S02 in barrel. The wines are bottled without fining or filtering. Production at Paul Mathew Vineyards is modest, not exceeding 2,000 cases annually. Mat maintains 100% control of the fruit, producing high quality wines that are hand sold by people Mat and his spouse, Barb, enjoy doing business with. Barb is a former sommelier with the Four Seasons Hotels & Resorts who met Mat at the Russian River Valley Pinot Forum in 2004 and is now in charge of sales and marketing as well as assisting with farming, harvest and blending as needed. The couple really know the Russian River Valley. A tasting room opened in Graton in West Sonoma County in November 2012 that is open to the public Friday through Sunday and Monday through Thursday by appointment. 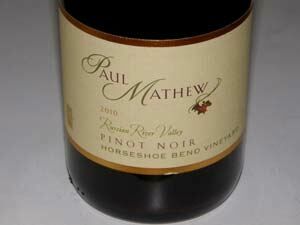 Paul Mathew wines are also sold through a mailing list and limited retail channels. Visit the website at www.paulmathewwines.com. 14.3% alc., pH 3.75, TA 0.54, 404 cases, $32. Released November 1, 2012. A blend of grapes from TNT, Ruxton and Horseshoe Bend vineyards which are all within a five mile area close to Occidental Road west of Sebastopol. Multiple Dijon clones. Aged 10 months in 32% new French oak barrels. · Medium reddish-purple color in the glass. Lovely perfume of fresh Bing cherries, sandalwood and sweet pipe tobacco smoke. Light on its feet with pleasing middleweight cherry flavor, offering well-integrate oak accents, soft tannins, but finishing a touch shallow. A well-balanced, comforting, easy to like wine. Good (+). 13.5% alc., pH 3.79, TA 0.56, 139 cases, $45. Released November 1, 2012. This vineyard is on the western edge of the Green Valley AVA. Goldridge soil. Dijon clones 667, 777 and 115. Aged 10 months in 50% new French oak barrels. · Moderate reddish-purple color in the glass. Very seductive nose displaying bright aromas of dark red cherries and berries, musk and spice. On the lighter side but charming, with flavors of dark red cherries and cola, sporting supple tannins, and offering crisp acidity on the finish. A seamless wine with enough spirit and flavor to satisfy. Very good. 14.3% alc., pH 3.81, TA 0.56, 188 cases, $45. Released November 1, 2012. This Green Valley vineyard was planted in 1999 and 2000 with clones 114, 115, 667 and 777 on Riparia Gloire rootstock in Goldridge soil. Aged 10 months in 50% new French oak barrels. · Moderately light reddish-purple color in the glass. Enticing aromas of berry jam on toast. Mouth filling, hearty flavors of black cherries and black raspberries implode on the mid palate with aplomb, lingering with a cherry and sassafras driven finish that is memorable. My notes say, “This is really good.” Fine the next day from a previously opened and re-corked bottle. 14.1% alc., pH 3.76, TA 0.59, 114 cases, $45. Released November 1, 2012. This vineyard was planted in 1996 in Goldridge soils. Dijon 113. Aged 10 months in 50% new French oak barrels. · Light reddish color in the glass. The most aromatic wine in the lineup with high-spirited aromas of cherries, cranberries and rhubarb. Relatively light in weight but highly flavorful. 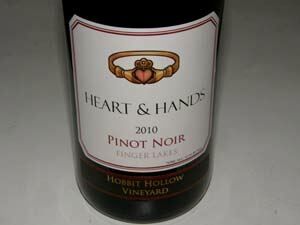 Plenty of pinot singing in this wine with delicious spiced red plum, raspberry and cherry flavors. A bit unusual tasting in a good way. Well-rounded with supple tannins, a good cut of acidity, subtle oak in the background, and a finish that will not let go. Not as loaded as the TNT bottling, but equally satisfying. Leading up to Thanksgiving this year, the major local grocery store chains in Orange County, California promoted wine by prominent floor displays and discounts. Preferred grocery store card holders received a modest reduction in price, but a further discount of 30% was offered with six bottle mix and match purchases. One store had a limited offering of 30% off any bottle with an additional 10% off for six bottle buys. The participating markets included Albertson’s, Ralph’s (The Kroger Company) and Vons & Pavilions (Safeway Inc.). All these chains have a national presence, and possibly this discount program was also offered in other parts of California and in other states. The Pinot Noir wines lining the shelves at these stores is practically identical at each store, controlled by the largest wine company in the world, E. & J. Gallo Winery, the second largest, The Wine Group, and the third largest, Constellation Brands. Gallo’s brands featuring Pinot Noir include Barefoot Cellars, Bridlewood, Edna Valley Vineyards, Frei Brothers, and MacMurray Ranch, and very inexpensive Pinot Noir labels such as Mirassou, The Naked Grape, Wild Vines and Turning Leaf. The Wine Group Pinot Noir labels include Brophy Clark, Concannon Vineyard, Cupcake Vineyards, and Pinot Evil. Constellation Brands include Estancia, Mark West, Robert Mondavi Winery, Simi and Wild Horse. These companies have a firm grip on the shelf space at these grocery chains. Kendall-Jackson Wine Estates has a somewhat less, but still prominent presence, with the Byron, Cambria, Carmel Road, Kendall-Jackson and La Crema brands of Pinot Noir. There are no small, boutique producers of California or Oregon Pinot Noir available on these grocery store shelves. 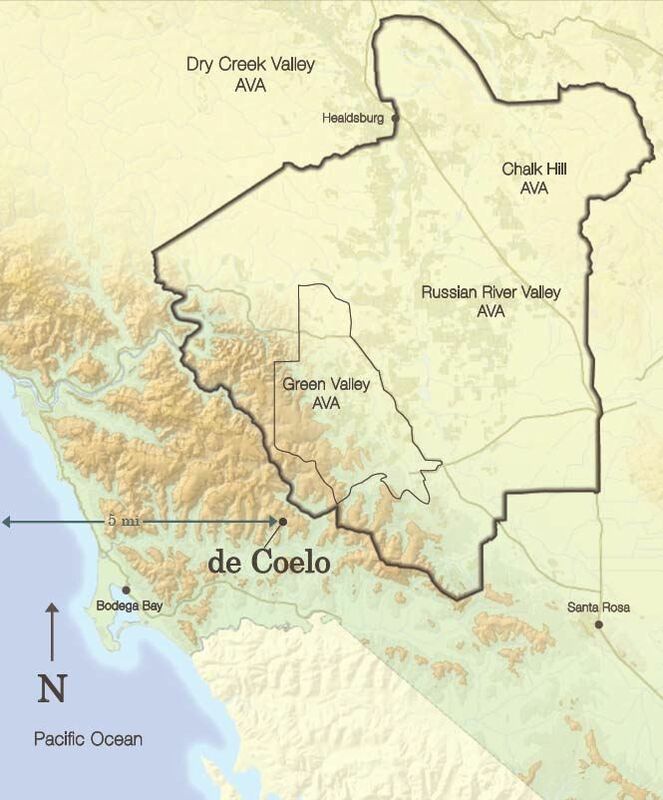 The top three wine producers, Gallo, The Wine Group and Constellation, account for 64% and 63% of all wine shipped in California in 2011 and 2010 respectively (Gomberg Fredrikson 2011 Annual Wine Industry Review). Many of their wines are very inexpensive, and according to Wines & Vines (January 2012), more than 85% of all the wine sold in the United States costs $9 or less per bottle. Only large growers are able to produce this amount of wine at this price point and still be profitable. Annual United States sales case volume for Gallo was 80 million in 2011. Most grocery store wine departments have a four or five shelf tier with the highest quality and most expensive wines occupying the top shelf, and the most inexpensive wines relegated to the bottom shelf. Since there is a high turnover, vintages are current for the most part. 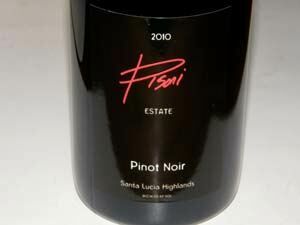 Only a few Pinot Noir wines are priced above $20, with the majority in the $10 to $20 and under $10 range. Practically all Pinot Noir offerings at the grocery markets in Orange County are from California except Erath, A to Z and Willamette Valley Vineyards Pinot Noir, all of which have very large case production and widespread distributing power. I acquired 28 representative bottles of Pinot Noir from the three supermarket chains who were offering discount programs and tasted them blind together with my Grape Radio wino colleagues, Eric Anderson and Jay Selman. The wines were fresh from the stores, and tasted immediately after opening in order the replicate the consumer’s experience (most consumers bring home wine after grocery shopping and drink it within a day or two). Nearly all wines were from the 2010 vintage, with a few from the 2011 vintage which in California and Oregon offered a very similar cool growing season. Prices listed are the discounted price at check out. I did not include any of the high-end brands found on some top shelves such as, J Vineyards, Laetitia, Sonoma Cutrer, and Twomey, all of which are well-established, quality brands. I concentrated on the under-$20 labels. This organized blind tasting removed all preconceived notions of wine price and reputation of the producers. In other words, we were looking for the best grocery store Pinot Noirs, regardless of price or label. Since all three of us are seasoned professional wine tasters, are standards are higher than those of the average consumer and this should be taken into account in interpreting the results. A note about the ranking system I used in the tasting. In Oregon Wine Press (October 2011), Oregon mathematician and avid wine collector Neal Hulkower wrote a commentary on methods of ranking wines in comparative tastings. He points out that having individuals score wines and adding up the results is flawed and does not represent the true preferences of the tasters. “Easy graders’ votes carry more weight in the tally than tougher ones, thereby violating the sacred principle of ‘one taster, one vote.’” Instead, Hulkower defends the Borda Count method, which has each taster rank order the wines and then use a preferential voting scheme to aggregate the rankings yielding what is called the societal outcome. If there are X wines being tasted, the first ranked bottle receives a score of X-1, the second X-2, and so on with the wine ranked last getting a score of 0. The scores for each wine are summed to determine the societal outcome. I used the Borda Count in determining the societal outcome of this tasting. 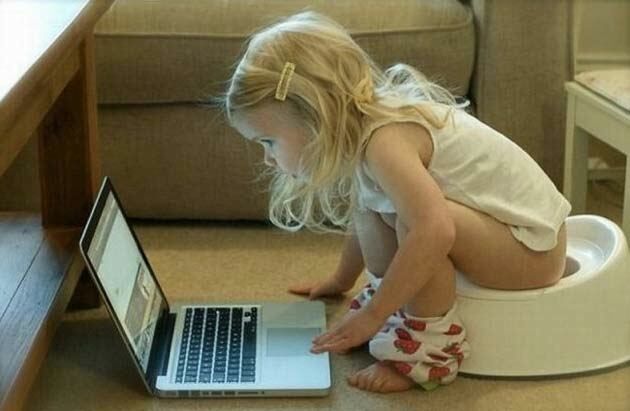 My assistant who did the tabulations is pictured below. Information about the wines, when available, is provided. Wineries often divulge little production details about their value-priced wines. Wines that are known to be 100% Pinot Noir are so designated. 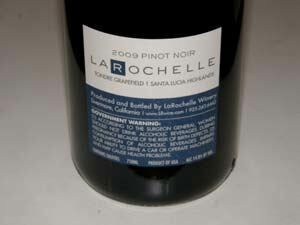 Wines can still be labeled Pinot Noir as long as other varieties do not exceed 25 percent. Although today the greatest New World Pinot Noir wines are made in tiny quantities, the remarkable advances in large-scale Pinot Noir winemaking using selective manipulation have led to a plethora of good wines in the under $20 price category. There have been claims that these value-priced wines would ruin the lofty reputation of Pinot Noir, but au contraire, these wines are pretty darn good, they have made the grape more accessible to the general wine drinking population, and as a result, Pinot Noir has replaced Merlot and Zinfandel and challenged Cabernet as the go to red for most regular wine drinkers. The quality of a number of the wines in this tasting affirms the popularity of the under $20 price category on grocery market shelves. Pinot Noir sales are hot with most consumer purchases focused on wines in the under $20 category. Wines & Vines (December 2012) reports that the retail sales of domestic table wines priced between $11 and $19.99 has increased rapidly this year. According to Symphony IRI Group (SIG), wines from $11-$14.99 and $15- $19.99 grew at 10% and 12% respectively through October 7. These two segments accounted for 20% of the $3.7 billion spent at major U.S. food and drug stores. * All wines were much more similar than different. * Cherry was the predominant fruit aroma and flavor with varying gradations of ripeness. * The wines were fruit-driven and simple, with very few descriptors coming to mind. Acceptable but not challenging. 2D, not 3D. * Technically the wines were fine. There were no corked wines. 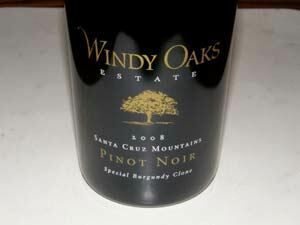 * Oak was not a prominent feature except in a couple of wines. * There were no issues with detectable heat (alcohol) in any of the wines. * Tannins were usually mild and those wines with coarser, sturdier tannins were balanced. * The wines tended to have good acidity and were food-friendly. In fact, the tasters felt the wines needed food. * Few wines had textures that stood out. * Only a few wines had some noticeable finishing length. * Some wines trended to sweetness of fruit flavor. * The varietal typicality varied from expected in some wines but not by a great deal. * Price was not unreasonable. You get what you pay for. * All wines had cork closure except two with screw caps and two with synthetic corks. The tasting notes below represent comments by all three judges. 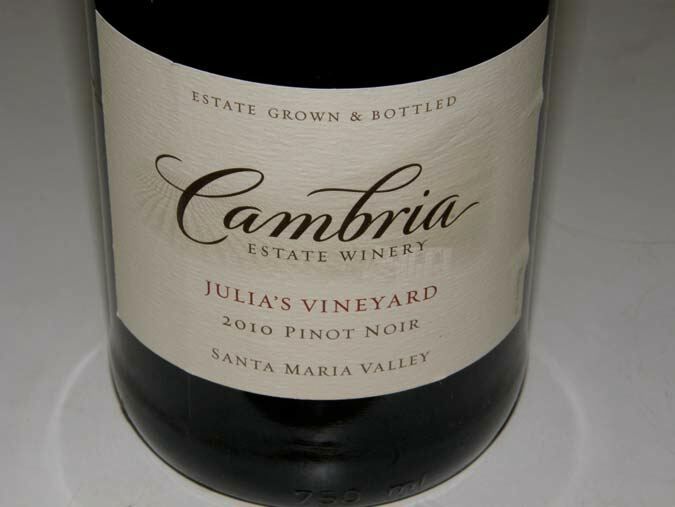 #1 2010 Cambria Julia’s Vineyard Santa Maria Valley Pinot Noir $22.99 (as low as $18.99 at some retailers) 14.6% alc., pH 3.59, TA 0.54, 22,000 + cases. Aged 8 months in 26% new French oak barrels. Moderately light reddish-purple color in the glass. Aroma of fresh cherry tart with a hint of savory herbs and rose petal. Very flavorful with admirable balance, good acidity and a somewhat lengthy finish. Classiest wine in tasting. #2 2010 La Crema Monterey Pinot Noir $15.39 13.9% alc., pH 3.82, TA 0.52, mostly from estate vineyard in Arroyo Seco. 100% Pinot Noir. Aged 7 months in 98% French oak (21% new) and 2% American oak (1% new). Moderately dark reddish-purple color in the glass. Bright Bing cherries on the nose. Moderately rich dark red cherry and berry core, smooth texture, mild tannins, and decent finishing intensity. #3 2010 Kendall-Jackson Vintner’s Reserve California Pinot Noir $14.99 13.5% alc., 50,000 cases. 54% Santa Barbara County, 41% Monterey County and 5% Mendocino County - all Jackson Estates grown. Moderately deep reddish-purple color in the glass. Reserved aromas of dark cherries and red grape preserves with a hint of oak spice. Tasty core of dark cherries with a hint of spice. Nicely balanced with well-honed tannins, a smooth mouth feel, and nicely integrated acidity. #4 2010 Edna Valley Vineyard Paragon Edna Valley San Luis Obispo County Pinot Noir $9.99 13.9% alc.. Light reddish color in the glass. Pretty nose of toasty cherries. Thin and slightly tart, but with a tasty core of dark, dried red cherries and red berries, supple tannins, and complimentary oak. A solid, straightforward wine. #5 2010 Castle Rock Mendocino County $8.49 13.5% alc.. Medium reddish-purple color in the glass. Moderately rich core of ripe black cherries and black currants backed by firm but balanced tannins, finishing with good fruit intensity. 2010 667 (Noble Wines) Monterey Pinot Noir $9.99 14.5% alc., pH 3.60, TA 0.52. De-stemmed, 3-day cold soak, inoculated fermentations, pumped over, aged in French and American oak. Medium reddish-purple color in the glass. Shy but pleasant cherry fruit on the nose. Middleweight flavors of dark cherries and berries with good acidity in the background, mild tannins and an attractively smooth mouth feel. 2010 J. Lohr Estates Falcon’s Perch Monterey County Pinot Noir $10.15 13.5% alc. 100% Pinot Noir. Mainly Dijon clones. Matured in stainless steel with minimal fraction aged in French oak barrels. Moderate reddish-purple color. A richer style with well-oaked black cherry and black raspberry fruits, accented with spice. Will appeal to those who like a good deal of oak with their fruit. 2010 Acacia Carneros Pinot Noir $12.99 14.4% alc., 55,000 cases. 100% Pinot Noir. From the estate vineyard and Winery Lake Vineyard. Dark cherry and berry aromas and flavors are featured in this moderately rich, slightly earthy wine displaying a subtle hint of oak, a good tannic backbone, and an easy-going, soft texture. 2011 Pennywise (The Other Guys) California Pinot Noir $7.40 13.5% alc., 27,000 cases. 90% Pinot Noir, 6% Barbera, and 4% Sangiovese. Primarily from Merwin Vineyard in Clarksburg with contributions from Monterey, Santa Barbara, Lodi, Solano County and the Sierra Foothills. Moderately light reddish-purple color in the glass. Very appealing aromas of fresh red fruits, exotic spice, herbs and oak. Middleweight fruit that is very ripe with hints of raisin, Hoison sauce and spice. Tastes like other varietals have been added in as confirmed by the winery, but this does not detract. 2011 Irony Monterey County Pinot Noir $12.99 13.5% alc.. 90% Pinot Noir, 5% Petite Sirah, 5% Cabernet Sauvignon. Moderately light reddish-purple color in the glass. Nicely perfumed with ripe cherries and spice. 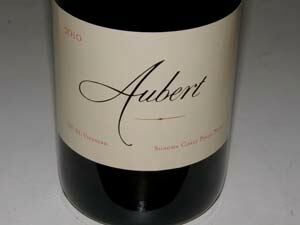 Flavorful cherry core with coarse tannins, good length and a very appealing velvety mouth feel. 2010 Carmel Road Monterey Pinot Noir $14.99 13.5% alc. Sourced from Arroyo Seco AVA. Multiple clones. Aged 8 months in 97% French oak (20% new) and 2% American oak (1% new) and 1% in stainless steel tanks. Moderate reddish-purple color in the glass. Shy aromas of cherries and sandalwood. Decent cherry cola flavor with cherries carrying over on the finish. Mild tannins, easy to drink. 2011 Wild Horse Winery & Vineyards Central Coast Pinot Noir $15.70 13.50% alc.. 100% Pinot Noir. 3 to 4 day cold soak, fermented in small open-top and closed-top fermenters, open-tops punched down and closed-tops pumped over, aged 8 months in 100% French oak (20% new). Moderately light reddish-purple color in the glass. Intense aromas of ripe strawberries and cherries. Middleweight core of delicious dark red stone fruits and berries with impressive balance. Very polished and seamless and one of my favorites but not one of the favored wines by other tasters. 2011 Gnarly Head California Pinot Noir $7.99 13.5% alc.. From DFV Wines. Moderately light reddish-purple color in the glass. Very shy nose that offers delicate cherry fruit over time. The flavors trump the nose in this wine which has a nice mid palate presence of bright cherry fruit, and a refreshing finish offering bright acidity. 2010 Bogle Vineyards California Pinot Noir $10.99 13.5% alc., 27,000 cases. From vineyards in the Russian River Valley, Monterey and Clarksburg. Aged 10 months in French and American oak. Moderately light reddish-purple color in the glass. Reticent aromas of strawberries and cranberries. 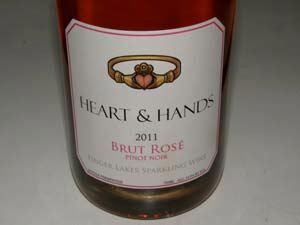 Very fruity but not sweet with flavors of fresh strawberries, cranberries and raspberries. Very soft tannins and light on its feet. 2010 Rodney Strong Vineyards Russian River Valley Pinot Noir $13.29 14.5% alc. Aged 11 months in 100% French oak. Moderately light reddish color in the glass. Nicely perfumed with aromas of Bing cherries and sandalwood. Medium-weight flavors of oak kissed black cherries wrapped in cozy tannins. Pleasant and easy to drink. 2010 Mark West California Pinot Noir $6.99 13.8% alc.. Primarily Central Coast fruit. Fermented in small lots with daily punch downs, aged in French and Hungarian oak barrels for 8 months. Subtle aromas of Bing cherries and smoky oak. Flavorful core of cherries with some finishing length. Well-balanced tannins. A consistently good value wine although this vintage was not up to the quality of recent vintages. 2010 Estancia Pinnacles Ranches Monterey County Pinot Noir $8.99 Thin, hollow, soft. 2010 MacMurray Ranch Central Coast Pinot Noir $13.99 Cloying, Jolly Rancher candy, plain. 2010 Byron Santa Maria Valley Pinot Noir $17.49 Darker fruited, sweet, soft. 2010 Erath Oregon Pinot Noir $13.29 Thin, tart, acidic, dilute, very light red fruits, and little herbal. 2010 Jargon California Pinot Noir $7.69 Smoky, tarry, slightly confected, grape juice flavor, ? other varieties. 2010 Aquinas Don Sebastiani & Sons Napa Valley Pinot Noir $14.99 Light cherry, chemical, plastic, disagreeable. 2010 Magistrate Sonoma Coast Pinot Noir $9.99, 4,000 cases. Very thin red fruits, high acid, herbal oak, unpleasant. 2010 Chateau St. Jean California Pinot Noir $8.87 Dark cherry, black raspberry, firm tannins, some finishing intensity. Tasters felt it wasn’t varietally correct and may have had other varieties included. 2010 Sebastiani Sonoma Coast Pinot Noir $14.99 Shallow mid palate, dark red and black fruits, softly textured, oak-driven nose. 2010 Francis Coppola Director’s Cut Sonoma Coast Pinot Noir $19.99 Very oak-driven with strong coffee grounds aromas and flavors suffocating the deep red fruit core. Aged 18 months in 50% new and 50% 1 to 2-year-old oak barrels. 2010 Frei Brothers Reserve Russian River Valley Pinot Noir $16.79 Very shy nose with delicate fruit aromas. Pedestrian dark stone fruit flavors with coarse tannins. NV Barefoot Cellars California Pinot Noir $3.97, 700,000 cases. Aromas of stem, flowers, geranium. Very light cherry flavors with herbal note. Burt Williams Receives Overdue Recognition in WSJ Jan McInerney published a tribute to Burt Williams in the December 1-2, 2012 issue of the Wall Street Journal titled, “How Burt Williams Became Pinot’s Patron Saint.” As he points out in the article, the last wine Burt made, the 2009 Morning Dew Ranch Anderson Valley Pinot Noir, is now available and may be ordered by contacting the winery at morningdewranch@gmail.com. 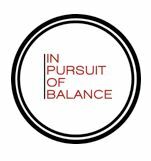 In Pursuit of Balance This event, which seeks to promote dialogue about the meaning and relevance of balance in California Pinot Noir and Chardonnay, will be held in San Francisco on February 4, 2013, and in Los Angeles on February 6, 2013. IPOB was created by Rajat Parr of Michael Mina and RN74 and Jasmine Hirsch of Hirsch Vineyards. The first event was held in San Francisco in 2011. 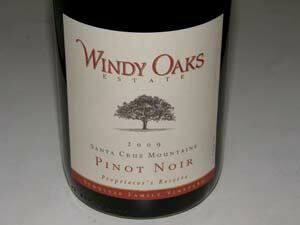 A list of participating wineries includes a who’s who of California Pinot Noir. For the first time, the event’s seminars will be open to the public. A list of member wineries, a detailed schedule and tickets are available at www.inpursuitofbalance.com. 2013 Wines & Vines Directory & Buyer’s Guide Listings for all wineries in North America including profiles, information on suppliers, growers, custom crush facilities, and distributors. Available both in print and online for $95 at www.winesandvines.com. According to the 2013 Directory, there are 7,900 wineries in North America, 3,497 wineries in California, 11,100 winery brands, and 100 AVAs. “Holiday in the Hills” Members of the Sta. Rita Hills Winegrowers Alliance are hosting Open Houses and offering Sta. Rita Hills gift options. Visit the Alliance website at www.staritahills.com/events.html for a list of special member events. Freeman Vineyard & Winery New Website Ken and Akiko Freeman have updated their website to include many photographs and details about them and their wines, the vineyards they work with, and the experience they offer at their Sebastopol winery. As part of the unveiling, for the first time ever, they are offering magnums of four 2010 Pinot Noirs through their online store: 2010 Keefer Ranch, 2010 Russian River Valley, 2010 Sonoma Coast, and 2010 Akiko’s Cuvée. The wines are sold out in the standard size bottle format. Visit the website at www.freemanwinery.com. New Documentary on The Russian River Valley Winegrower Joe Nugent (who recently sold his vineyard in the Russian River Valley to The Donum Estate) has worked for years on a documentary that tells the story of the rise to prominence of the Russian River Valley through interviews with growers and winemakers. The film is titled, “From Obscurity to Excellence: The Story of Grapes and Wine in The Russian River Valley.” Key figures in the film include Joe Rochioli, Burt Williams, Mel Sanchietti, and Davis Bynum. 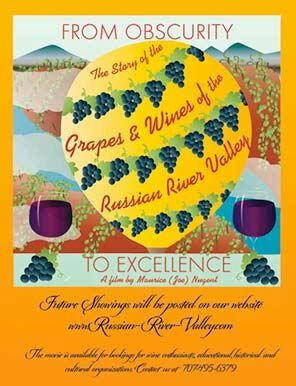 The documentary was recently shown in Santa Rosa - look for more showings in the future (www.russian-river-valley.com). W.O.W. Comes to NYC Members of West Sonoma Coast Vintners are coming to New York City to host their first tasting outside of the annual West of West (W.O.W.) event held annually in Occidental, California. The West Sonoma Coast Vintners consists of 35 wineries including notable Pinot Noir producers such as Benovia, Freestone Vineyards, Littorai, Merry Edwards, Cobb, Flowers, Freeman, Papapietro-Perry, and Siduri. The date is Wednesday, February 27, 2013 at the City Winery. Tickets are $100 and can be purchased at www.citywinery.com/WOWNYC. The Eyrie Vineyards “Marguerite” Pinot Noir This 2000 vintage Pinot Noir was a gift from David Lett to his granddaughter, Marguerite Estelle Lett to commemorate her birth to her parents, Jason and Diane Lett. 2000 was one of David’s most esteemed vintages. He blended a favorite barrel selection from the 2000 vintage to make the “Marguerite,” which incorporates a little bit from each of The Eyrie vineyards. The front label displays a watercolor painting by Marguerite and the back label features the message, “A gift from her grandfather, from barrels selected in honor of the vintage of her birth. Love, Papa.” To purchase, contact Michael Alberty at Storyteller Wine Company in Portland (503-206-7029) or The Eyrie Vineyards website at www.eyrievineyards.com/, $85. Wine Consumption at a New Low in France The average French adult consumed about 15 gallons of wine in 2010 according to the French Ministry of Agriculture division FranceAgriMer. In 1965 the figure was about 42 gallons. In 2010, just 17% of the French had wine regularly. Speculation has it that the decline is due to more health awareness as well as the European debt crises and the unemployment rate of 10.7% in France. Foley Family Wines Buys Ramal East Vineyard The Ramal East Vineyard, about 206 acres of Pinot Noir and Chardonnay in Carneros, has been purchased by Foley Family Wines. The grapes will be used in the new Sonoma Coast tier of Chalk Hill Estate wines scheduled to debut in 2013. 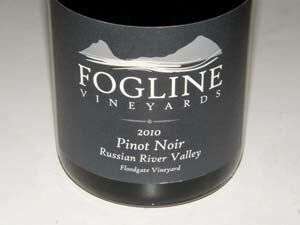 Wines owned by Foley Family Wines that currently produce Pinot Noir include Foley Estates (Sta. Rita Hills, CA), Lincourt Vineyards (Solvang, CA), Sebastiani (Sonoma County, CA), and Te Kairanga (Martinborough, NZ). Suckling’s “100 Points” Wine Glass The ultimate wine elitist gift this Christmas. Latimes.com (November 21, 2012) reported that the glass was designed in collaboration with American wine writer James Suckling and is offered by the 100-year-old glassblowing firm, Lalique. It is meant to be the ideal glass for both white and red wines as Suckling believes in one glass for every wine. A video is posted on his website (www.jamessuckling.com) about the process involved in designing and producing the glass. It takes as many as 15 to 20 workers to make each glass over a period of 5 days. Cost is $140 a stem. The contact to purchase is glass@jamessuckling.com. I incorrectly stated in past issues of the PinotFile that Jim Ball Vineyards was sold to Champagne Louis Roederer. Neither the trademark Jim Ball Vineyards nor the corporation Jim Ball Vineyards, Inc., were ever sold to Roederer. The corporation is still privately held by Mr. Ball, the label is still owned by Jim Ball Vineyards, Inc., and the trademark is still owned by Mr. Ball and Jim Ball Vineyards, Inc.. The Four Dog Ranch in Anderson Valley associated with Jim Ball Vineyards, Inc. was sold in 2011. The Jim Ball Vineyards website is www.jimballvineyards.com. Three 2009 Jim Ball Anderson Valley Pinot Noirs (Signature, Boonville and les Pintades) are currently offered on the website. When I launched the Pinotfile over ten years ago, I did not include a quality designation or score for the wines I reviewed. Rather, I tried to describe my drinking experience and let the reader take it from there. I soon received considerable backlash from readers who wanted to know specifically which Pinot Noir wines I didn’t like, those I liked, and those I really liked. I then grudgingly developed the quality scale that I use today. It was much easier then to evaluate wines within that scale. It is a lot harder to judge the quality of American Pinot Noir these days. This vixen of a grape has let success go to her head, and she is so taken by herself, she now struts out impeccably made up, correctly groomed, and tastefully clothed for practically every bottle opening. Pinot Noir is now produced by more American wineries than any other red varietal. It is the wine that winemakers want to make and the wine that consumers want to drink. It was not that long ago, say 25 years, that consistency was the Achilles heal of American Pinot Noir. I personally spent a small fortune on disappointing Pinot Noir throughout those formative years. Today, practically every winery I know has a Pinot Noir that has scored 90 or above by some blog, magazine, retailer, website or competition. 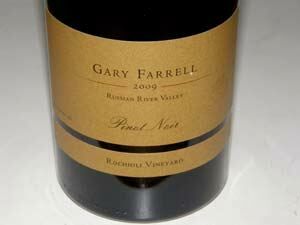 There are very few bad Pinot Noirs from reputable sources on the market today. The leap in quality of American Pinot Noir has challenged the wine critic to be more vigilant, circumspect and deprecating, more fine tuned to small differences in quality. It has become a game of splitting hairs. Despite this, the increasing level of quality has caused ratings to gradually rise, with more Pinot Noirs than ever receiving higher scores and accolades. 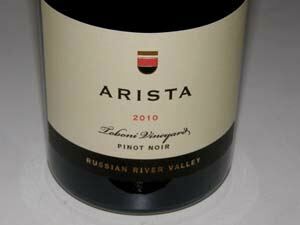 Years ago we couldn’t have imagined American Pinot Noir receiving scores of 99 (the 2007 Marcassin Marcassin Vineyard Sonoma Coast Pinot Noir) or 100 (the 2007 Williams Selyem Estate Vineyard Russian River Valley Pinot Noir). For consumers, this situation is heavenly. No wringing hands over what to buy. For wine critics, the perspective is daunting, but not insurmountable. The solution is simple. We should concern ourselves more with differences among Pinot Noir wines than what is good, better or best. Wine writers need to praise diversity rather than split hairs about small differences in quality that are neither important or noticeable to most people.